Amun, god of the air, was one of the eight primordial Egyptian deities. Amun’s role evolved over the centuries; during the Middle Kingdom he became the King of the deities and in the New Kingdom he became a nationally worshipped god. He eventually merged with Ra, the ancient sun god, to become Amun-Ra. It is thought that Amun created himself and then everything else in the universe, but distanced himself from it as “the original inscrutable and indivisible creator.” When Amun and Ra merged, he became a visible and invisible deity, which appealed to the ancient Egyptians’ concept of Ma’at or balance. Amun is depicted as a goose, snake, or ram, and also as a man with the head of a ram, frog, royal cobra, crocodile, or ape. Amun-Ra was the father and protector of the pharaoh, and was the subject of a cult. Royal women had a complex relationship with the cult of Amun; Queen Nefertari received the title of “God’s Wife of Amun” and the female Pharaoh Hatshepsut claimed she had the right to rule because her mother was impregnated by Amun, thus being his daughter empowered her ascendancy. Amun revealed his will and wishes through the use of oracles controlled by the priests. 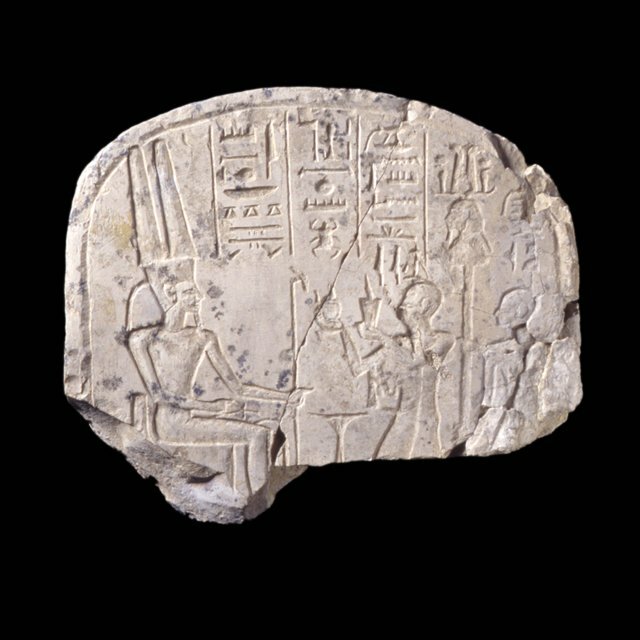 Amun had a following of priests who were overthrown by the Pharaoh Akhnaton when he replaced the worship of Amun with Aton. This change only lasted for one monarch and was reversed during the reign of Akhnaton’s son, Tutankhamun, perhaps better known as King Tut, by priests who controlled him.